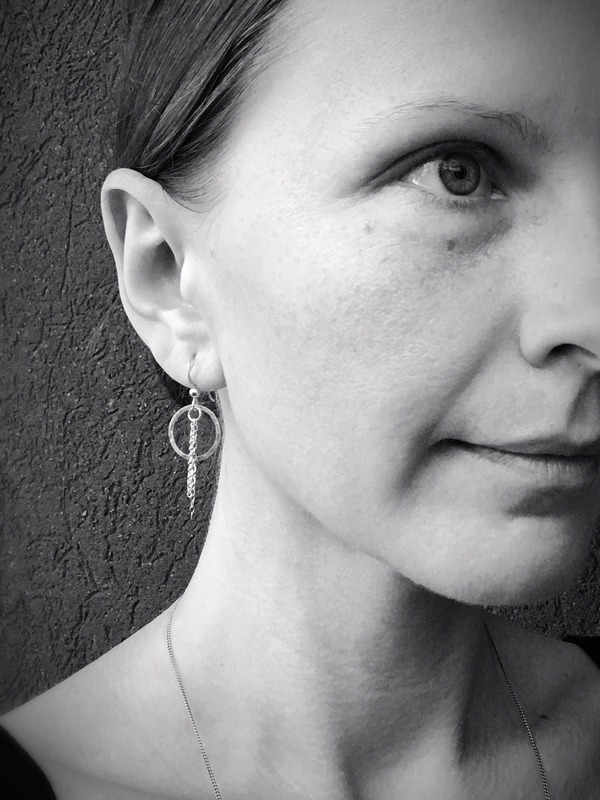 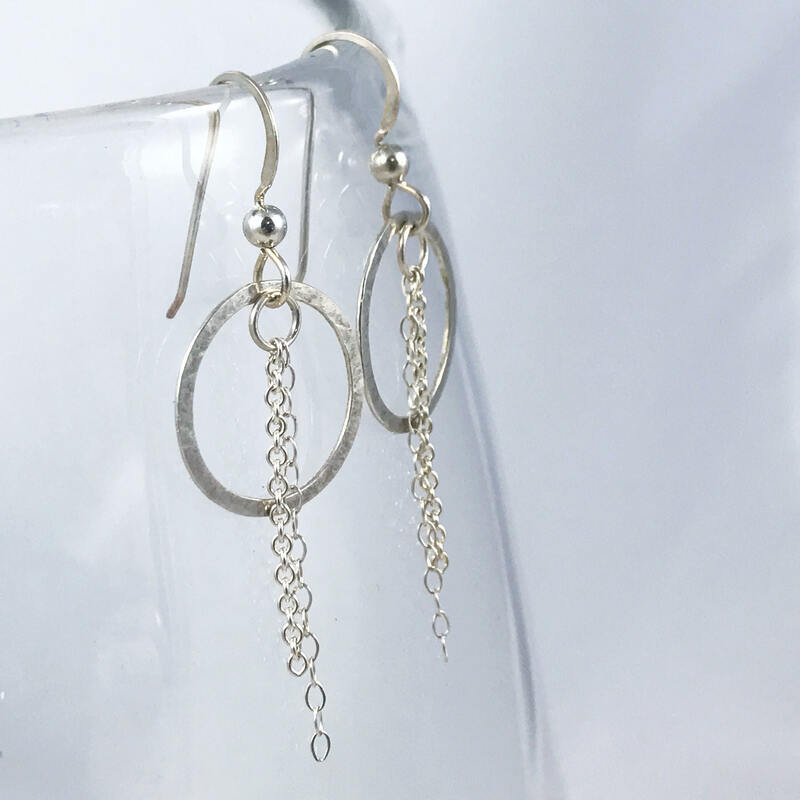 These serene "Moonbeam" circle earrings are simple, modern, pretty and so much fun to wear! 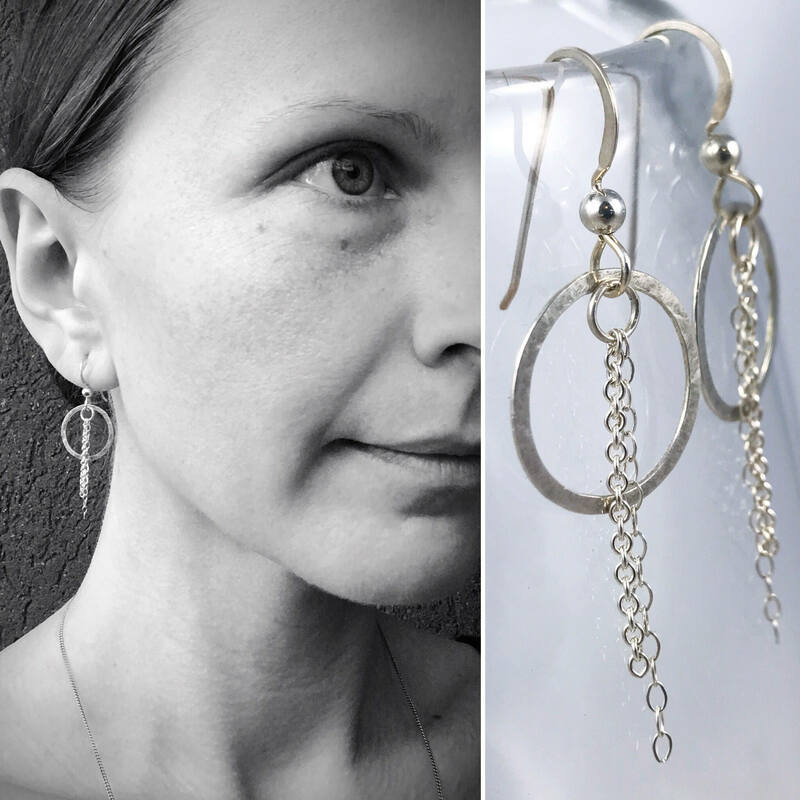 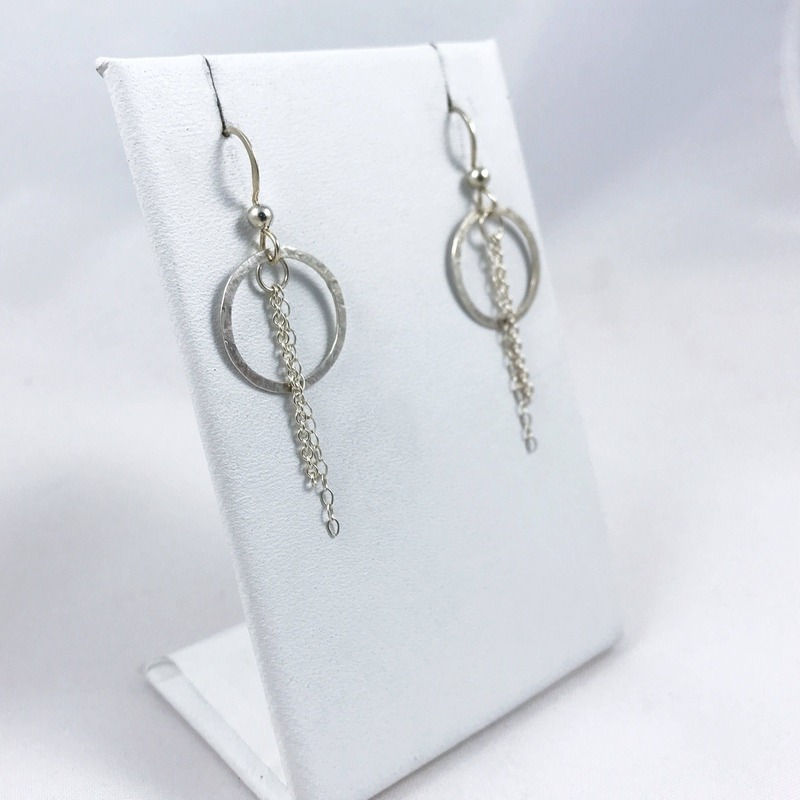 Made of solid sterling silver, they feature a very subtle hammered texture and two types of sterling silver chain tassels which have beautiful movement. 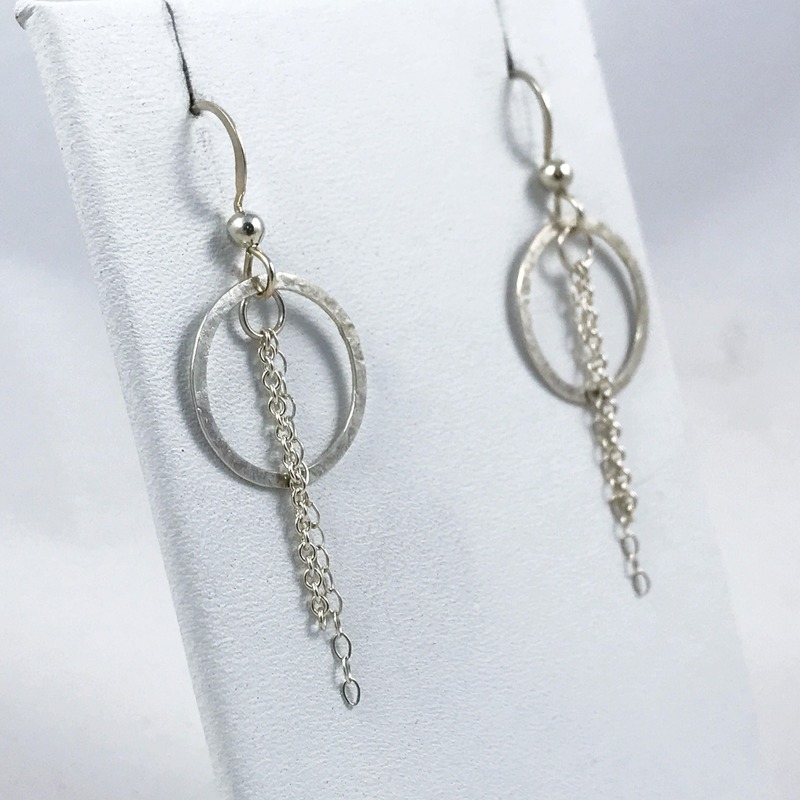 -Hammered sterling silver circles are 15mm (just under 5/8") in diameter.